Isn't that the way it goes? Well, it does around my house. 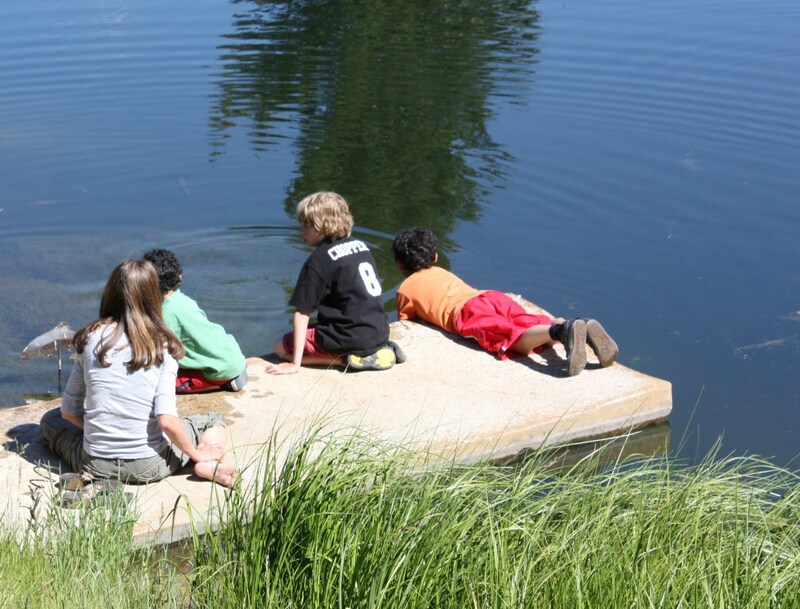 My kids love nature and, now that it is summer, they have discovered a whole new world of fun in the local ponds and waterways. 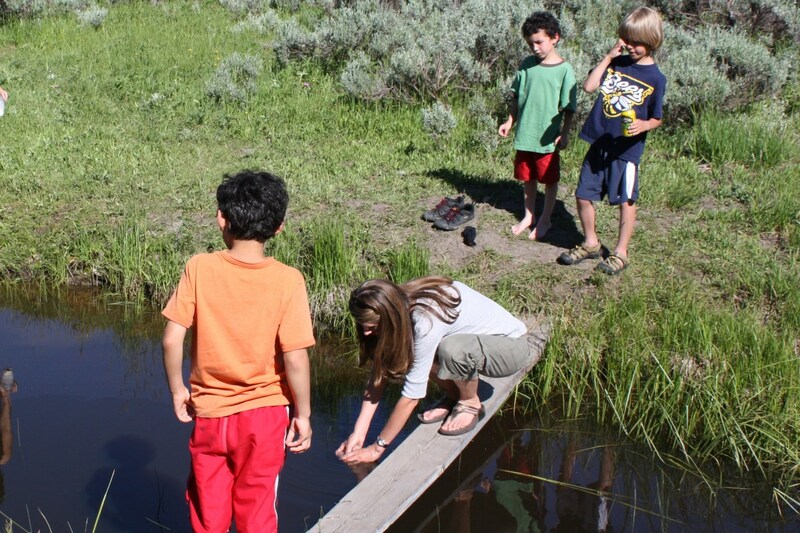 Frogs, snakes, and big, slimy salamanders are just a few of the residents in the wetland areas of Montana. The blotched tiger salamander (Ambystoma tigrinum melanostictum) is the current far out favorite. 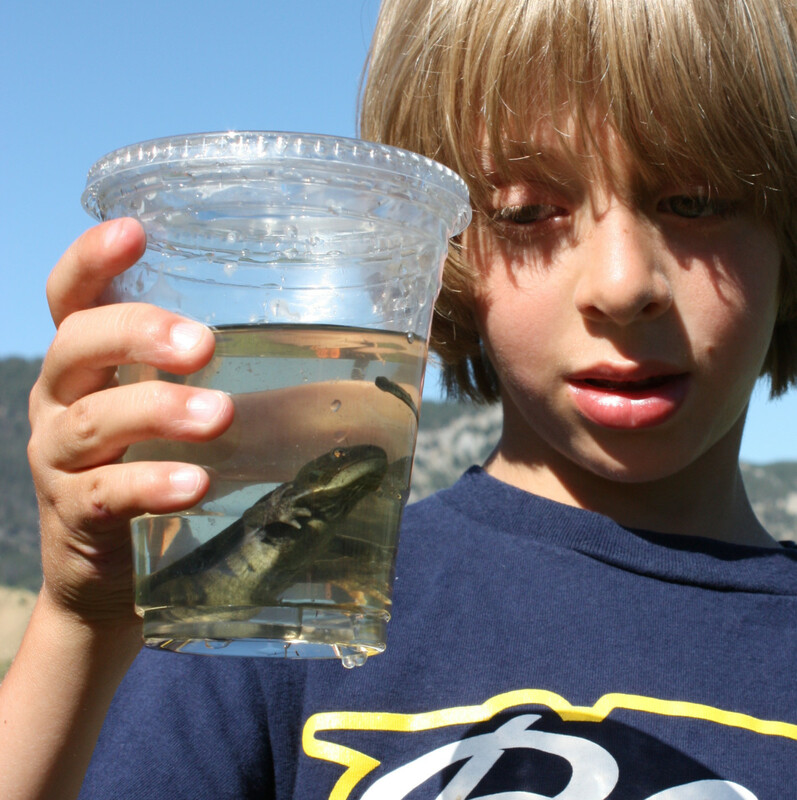 What Is a Tiger Salamander? The blotched type is found in North America from Southern Alberta to Northern Colorado. Adults live most of the year in muddy burrows, usually dug by rodents. They emerge from hibernation in the late spring and migrate to ponds or vernal pools to breed. Females lay eggs in gelatinous bunches on aquatic plants; these eggs typically hatch within three weeks. 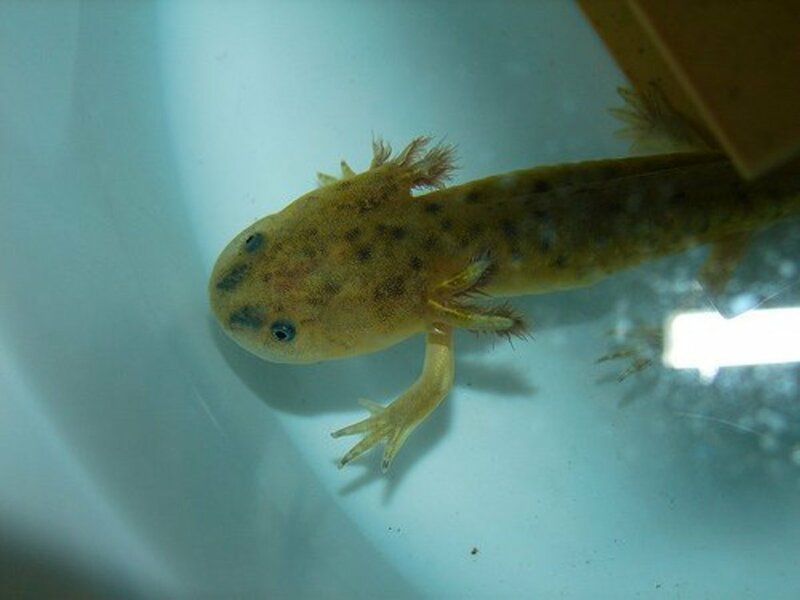 After breeding, the adults return to their muddy homes while the salamander larvae, called "waterdogs" are left to fend for themselves. Waterdogs are fish-like with large, feathery gills behind the head. They are approximately 3 inches (76mm) in length, are a light brown and grow darker as they mature. They almost immediately develop short legs. If they survive, the rest of their amazing transformation will occur in the late summer. Blotched tiger salamander adults range from olive to brown to black with yellow blotches or stripes. 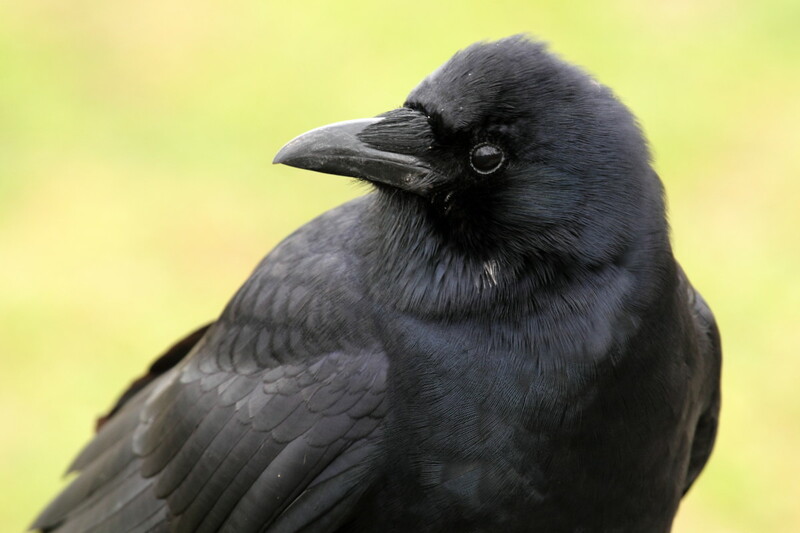 Like the larvae, the adults generally get darker in color with age. They have a broad head and a wide mouth. 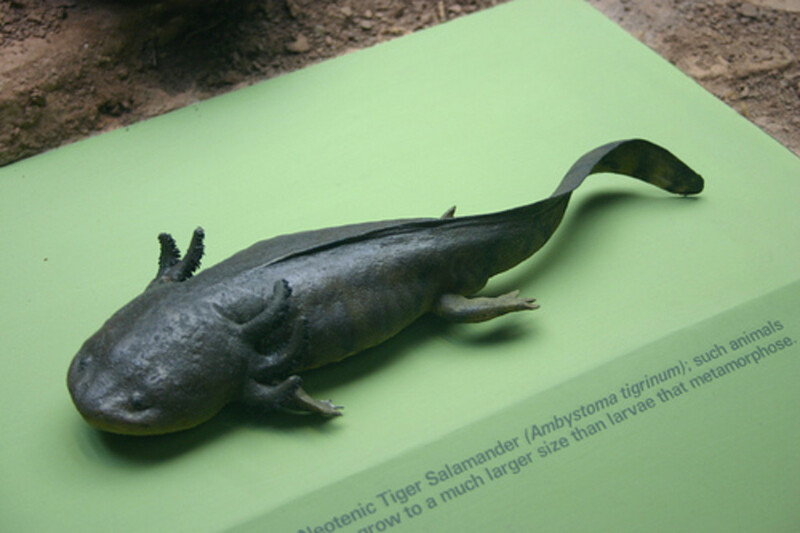 Adults can reach up to 9 inches (230mm) in length, making them the largest land-dwelling salamanders in the world. They can live up to 20 years or more in captivity. 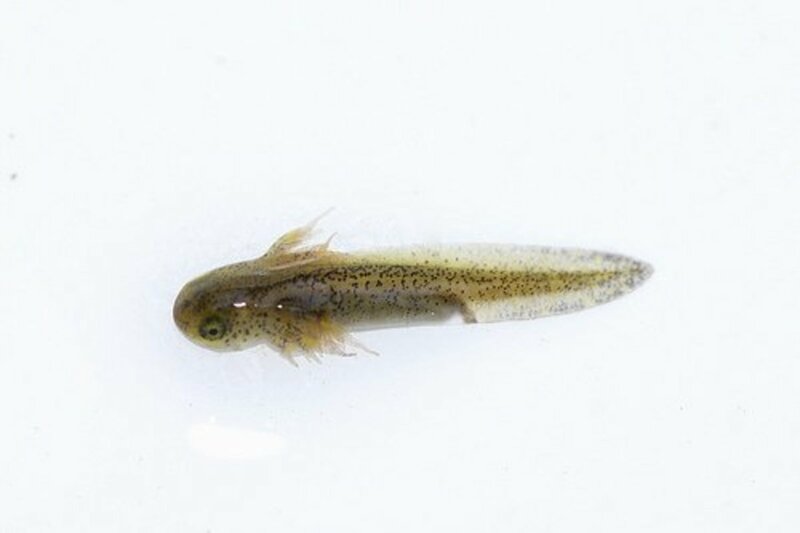 Waterdogs feed on mosquito and other larvae when they are very small. As they grow, they will eat larger insects and worms. Unfortunately for them, they are eaten by just about everything: birds, snakes, fish, mammals and even used as fishing bait by humans. Most of the young will not survive to adulthood. Sadly, the tiger salamander numbers are dropping alarmingly as habitats are destroyed and as weather patterns have shifted towards dryer conditions in recent years. The larva cannot survive if the breeding pools dry before they reach maturity. Why Are Tiger Salamanders Dying in Yellowstone National Park? According to Stanford researchers, global warming is to blame for the loss of suitable breeding pools for amphibians in Yellowstone National Park. Amphibians, such as salamanders and frogs, are considered early indicators of environmental change. Yellowstone wetlands, ideal for amphibian habitat, have been disappearing at an alarming rate. Huge declines in amphibian populations have been reported. Mom helping to catch creepy critters...what I will do for my boys, sheesh! 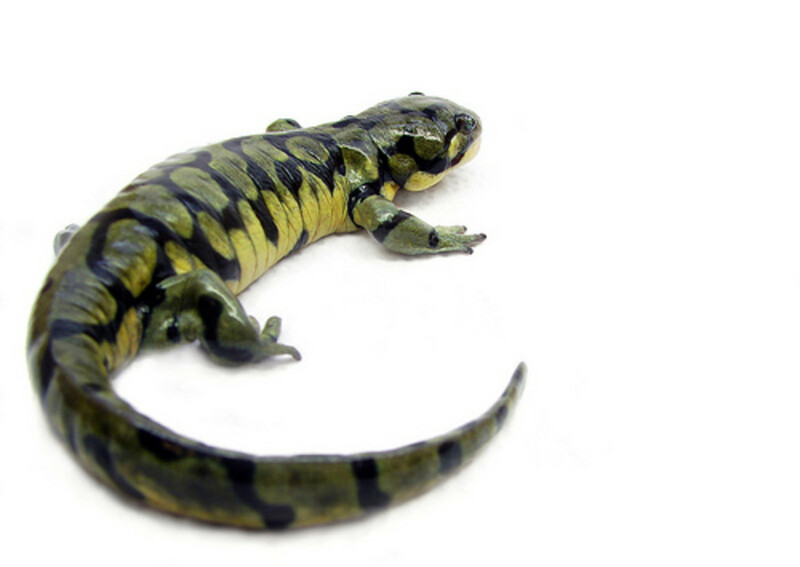 Tiger salamanders are popular as pets. They are generally acquired in the larval (aquatic) stage and so must be kept in an aquarium. Optimal water temperature is 65-70º F (18-21º C). Good water quality with proper pH must be maintained; this requires a filter and aeration. When the larva begins to metamorphose into an adult, it will lose its gills and, therefore, its ability to live under water. Land area must then be provided and the amount of water reduced. This can be done gradually. When metamorphosis is complete, the tank can be entirely terrestrial. 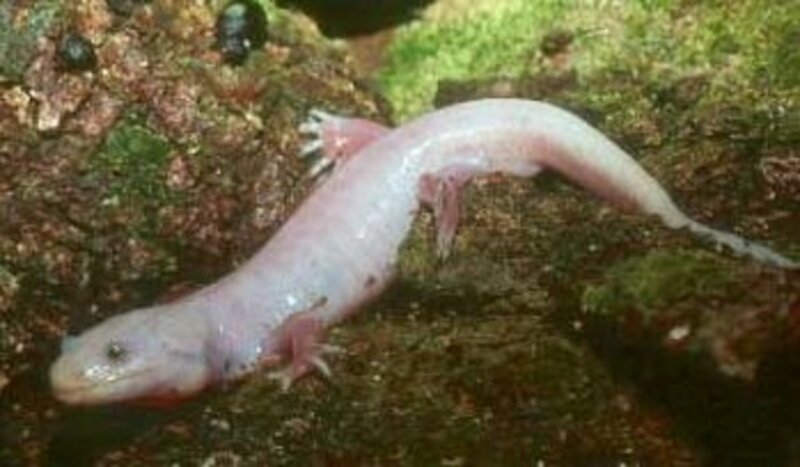 The salamander will need moist, loose soil suitable for burrowing. Cages must be cleaned frequently so don't go for anything too elaborate. Provide some bark and a few rocks as well as a shallow dish of water (only an inch deep or so.) Larvae must be fed small insects, brine shrimp, and worms. Adults will eat crickets, worms, and other insects. 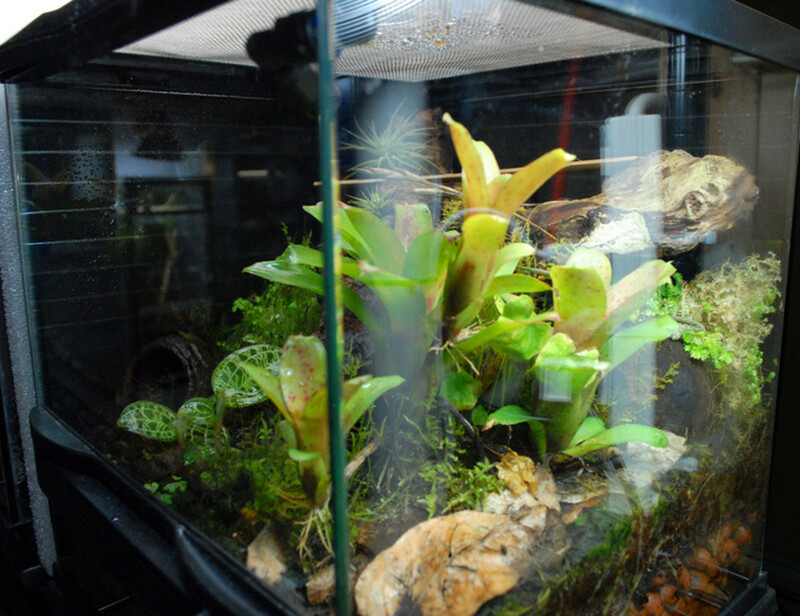 Salamanders supposedly become friendly or at least docile as they adjust to life in captivity. Until then, they may try to bite but have teeth too small to do any damage to humans, although they can do damage to each another. Do not house large and small salamanders together or adults with larvae. Be very careful when handling salamanders; they have very porous, delicate skin. Wash hand thoroughly before handling and use wet hands to touch the salamander. Some of the most beautiful, scenic and natural places to camp are also full of wildlife. This is a positive feature of any camping destination. 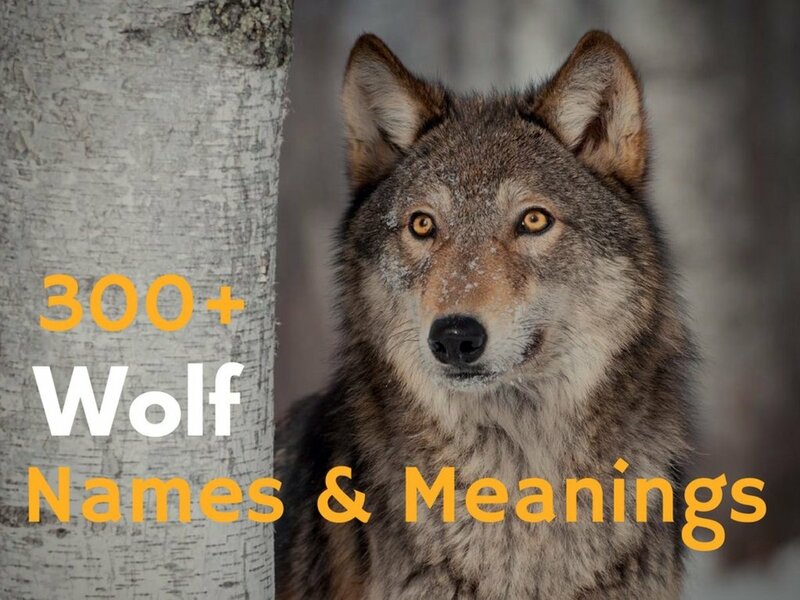 What could be better than catching a glimpse of an eagle, moose, elk, wolf or even bear? Hahaha...thanks Matt! They're actually kinda cool...kinda. Awesome! I never thought I'd WANT to read about tiger salamanders, but you changed my mind yet again. Voting up. Hahahaha...I didn't know that porcupines had smelly excretions. I did just recently discover that snakes stink...ugh! The Porcupine, yes that porcupine. We got him in the mountains and I wanted to take him home to show my friends in the suburbs but first we were going to Niagara Falls at night - my brother and I had to ride 5 hours sleeping on the back seat of our Impala and right below my head in a chicken wire cage about 1 foot square was the porcupine (he was a young adult) on a piece of cardboard box on the floor of the back seat. This is when I discovered how badly porcupine's excretions smell - kept me up all the way to the falls...pewwwwwwwwww! I decided then this was one pet I wasn't keeping for long! I've had some experience with menageries too. Great hub, I'm watching for more like this. 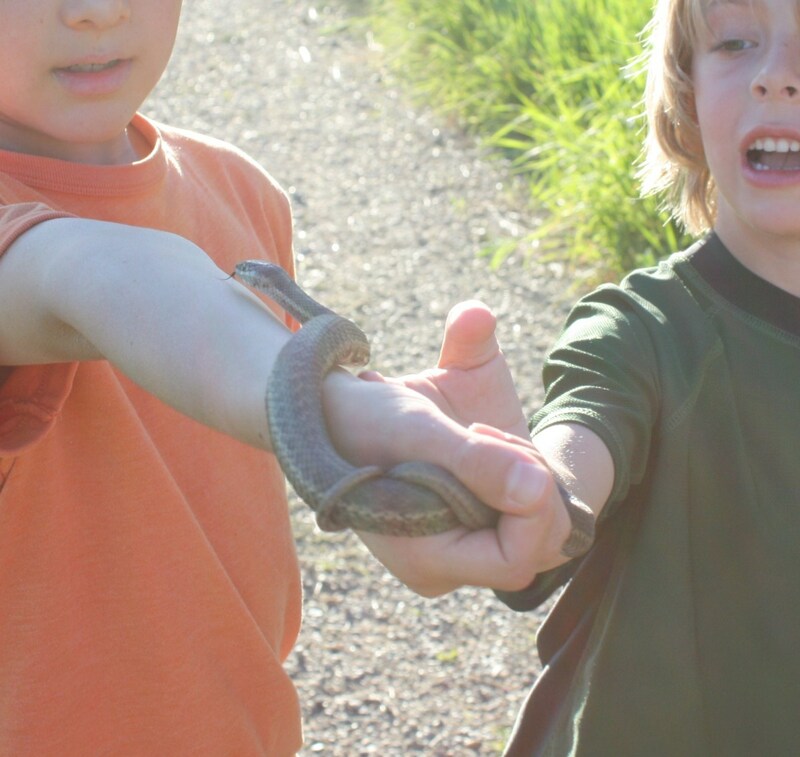 Wow - I would have been passed out on the floor - I'm deathly afraid of snakes and salamanders although I know they're not the same really freak me out. All that said, spectacular subject and you indeed are a GREAT mom~! Thumbs up - great pictures and great global warming message.....good luck in the contest~! K9, thank you so much! Denise, I'm glad you understand, thanks! Cara, I just saw the photos of your kids with the starfish and other stuff...they would fit right in, heehee! Simone---they are sort of awesome, in a slimy way...and thank you too! Whoah! Tiger Salamanders are awesome! Your family has way too much fun. 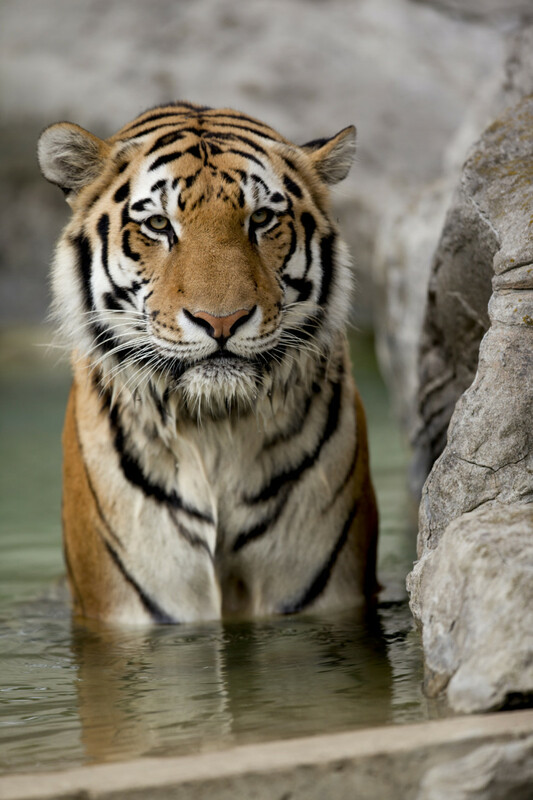 Great photos, great tips on taking care of 'em... and great environmental points, too! I hope the salamanders at Yellowstone find a way to adapt to global warming-quick! My kids would love these if they were around us. They love to hunt for frogs, crayfish, and turtles in the summer. Nicely done. What fun! I remember the days of playing with frogs, toads, and snakes down by the river bank near our home. We had a load of boys in our neighborhood so there was always something interesting going on. What a fun Mom You are Mrs. M! I am fascinated by your shared adventures here. Luck boys you have my dear. How cool!! And you're a great MOM, too, I know your boys much think so, because you help them catch creatures. My mom would have screamed and ran!